Where is the mesa in Mesa? Ever wonder about the history of a place? 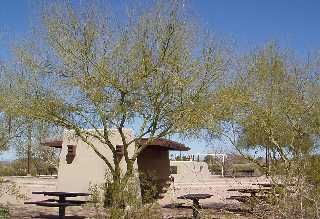 The Park of the Canals Mesa is the preserved ruins of a mysterious civilization. That’s why this park will amaze you. Did you know that prehistoric peoples lived here around 300 B.C.? You can still see the dried out water canal remnants created by the Southwest Native Americans after all these centuries today! Check out the Mesa Park of the Canals and take an eerie walk through history. There’s a Mesa canals map by the parking lot that talks about the history of the region. The sign is a gift from The Mesa Convention and Visitors Bureau. 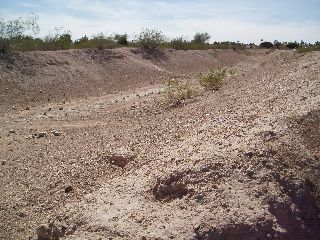 It says there were over 500 miles of Hohokam canals discovered in the Salt River Valley. Can you imagine how the Southwest Indian people engineered these canals with the Salt River so they could build a civilization? It’s amazing, and this time capsule of a park is right in the middle of Mesa. 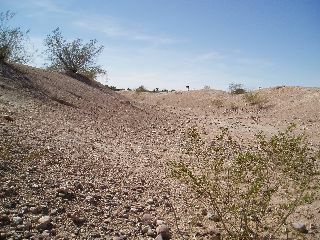 Curious about what this place might have looked like when the Hohokam lived here? You can see a large exhibit at the Mesa Southwest Museum. There are some Hohokam dwellings and an artist’s rendition of canals in use for growing food. Around 1450 A.D. the Hohokam vanished mysteriously from the valley. What happened to them is not exactly known. The place went dormant. Then Mormon Pioneers entered the area. They cleaned out one of these ancient canals in 1878. You can see this large canal just west of the Brinton Botanical Garden at this park. It looks larger than other canals on the site. You can also see the canals in the park from an aerial view. Click on the map below and select the Satellite tab. If you have a fast computer Google Earth will also show a spectacular view of the canals. What else can you find here besides a bunch of empty canals? Ever wonder where the mesa is in Mesa? You can live here for years and never see the mesa. Here’s how you can find it. When you drive by the park you will notice an abrupt drop (or rise depending on your direction) in the road next to the park. Could this be the edge of the mesa of Mesa? A topographic map shows a mesa or plateau edge that roughly parallels the Salt River. You might be able to make it out while driving on the Red Mountain Freeway. It looks like about a 30 foot drop from Mesa to the area bordering the Salt River area. See the blue line on the map below for the approximate border of the mesa. Follow an imaginary line of the mesa edge and if you go west you can notice this same edge of the mesa just north of Hohokam Park, winter home of the A's. Very cool. You just found the edge of the mesa in Mesa. What does this have to do with the park? 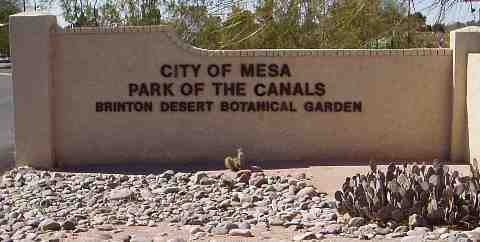 Well the northern border of the Mesa Park of the Canals is roughly the line of the edge of the mesa. What else is interesting at the Park of the Canals? 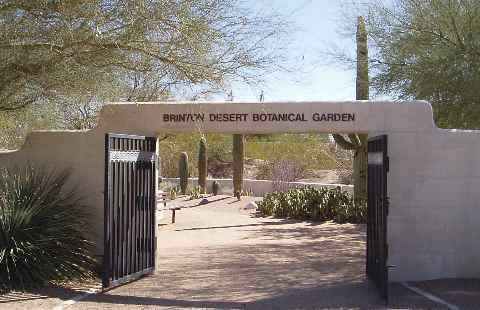 The Brinton Desert Botanical Garden has a lot of native plants with labels so you can figure out what the strange plants are named. Well maintained, you can go through it in minutes. There’s a sign about a Compass Course. Look at the ground and you might see some markers. They are part of a Boy Scout Eagle project to help people navigate using the earth’s magnetic fields. There are some very nice places for kids to play in the sand and play on swings. 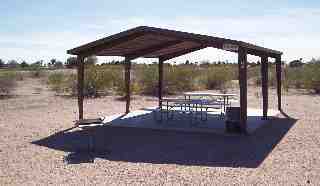 And 6 ramadas covering picnic benches and BBQ’s. The Park of the Canals is lightly used, at least the times I have visited. Is it because it’s not well known? Might be because the restrooms are normally closed, you have to call 480-644-4274 to have them opened. To reserve a Ramada or have the restrooms opened call a couple days in advance of your picnic/party. The park is located at 1710 N. Horne and is open from sunrise to 10 p.m. Please see map for directions and a satellite view of canals.